You always know that a signed copy of a book is going to be good. I’d only read the first two chapters of this book when Leah signed my copy. Of course it helps when you already like the author, why else would you have a copy to sign? Tall, pretty and one of the nicest people I’ve met. It is of course more than the characters; the book is tightly crafted whilst also being well paced. It didn’t have those pointless scenes describing how they got to a crime scene, or the endless descriptions of police procedure that is normally rife in crime novels. 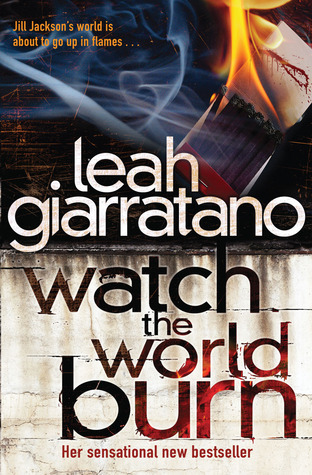 Most of all it was entertaining, despite the horrible things that everyone of the main characters had been through.But what about Leah’s latest book, Watch the World Burn? Well when I had Leah sign my copy she was running a writing class on writing nasty bad guys at the Perth Writers Festival. I think one of the strengths of this book was that every character seemed to have a depth that a lot of crime authors don’t manage to imbue. Sure, that sales rep is about to die at the hands of a serial terrorist, but I actually get the sense that the sales rep is more than just another notch in the body count. I’m a fan and can’t wait for the next book by Leah, even if I know that it is a children’s book.